Dr. William E. Hull, a world-renowned theologian who served as provost, university professor and research professor at Samford University for more than two decades, died Tuesday, Dec. 10, after a courageous battle against amyotrophic lateral sclerosis (ALS). He was 83. Dr. Hull served as Samford provost during 1987-96, as university professor during 1996-2000 and as research professor for the remainder of his life. He also served as theologian in residence at Mountain Brook Baptist Church for more than two decades. Hull taught and served as provost at Southern Baptist Theological Seminary in Louisville, Ky., during 1958-75, and was pastor of First Baptist Church of Shreveport, La., during 1975-87. Hull wrote 21 books on theological subjects and Christian themes, contributed to 24 others and lectured widely on college and seminary campuses. After being diagnosed with ALS in 2007, he completed seven books in seven years, an effort called the Hull Legacy Series. "From the earliest years of his maturity until his last minutes on earth, Dr. Hull was a teacher," said Samford University President Andrew Westmoreland. "To generations of students throughout the United States and the world, he taught a model of thoughtful scholarship. To church members here and elsewhere, he taught the importance of personal faith, informed by theology. To all of us, as he wrote the final chapter of his own life, he taught us how to live and how to die. Along with the Hull family and thousands of his friends, the Samford community celebrates a life well lived." A Birmingham native, Hull enrolled at the University of Alabama in 1948 as a premedicine major. "I was good at biology and chemistry, and my mother wanted me to be a doctor, but I didn't feel a sense of calling to medicine," he said in a 2005 interview with Seasons, the Samford magazine. He transferred to Samford in his junior year to major in religion, and earned his degree in 1951. Hull earned master of divinity and Ph.D. degrees at Southern Baptist Seminary and did advanced study at the University of Gottingen, Germany, and at Harvard University. He joined the Southern Seminary faculty in 1958 and taught and held administrative posts until 1972, when he was named provost. Three years later, he accepted the pastorate at First Baptist of Shreveport. During his time there, he led the church to a racially diverse membership and took part in the first ordination of a woman by a Baptist church in Louisiana, his daughter, Susan. As provost at Samford, he championed reform of the core curriculum that has become the model of many educational institutions. He was named winner of the Outstanding Educator Award from the Association of Southern Baptist Colleges and Schools in 1999. 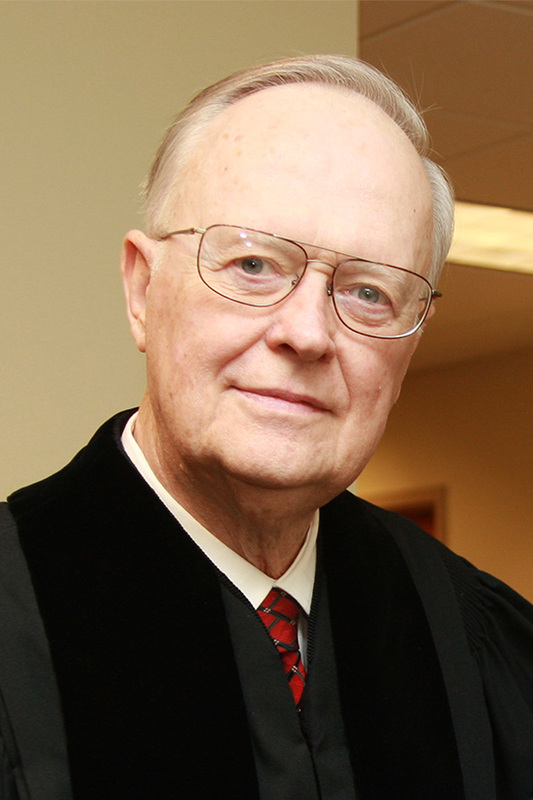 Hull received an honorary doctor of letters degree from Samford at fall commencement of 2008. "As much as any other person over the last two decades, Dr. Hull has led the charge to ensure that Samford University continuously strived for the highest possible standards, at all levels," said Clark Watson, then chairman of the Samford board of trustees. Hull delivered the commencement address, telling graduates their "educational pilgrimage should last a lifetime." He told them to "learn to think independently" and to "learn to commit deeply." Hull was married to Wylodine Hester, a 1952 Samford graduate, while pursuing a master's degree at seminary. They had two children, a son, David, in addition to their daughter, Susan. Wylodine Hull died in 2012. The memorial service for Dr. Hull will be Monday, Dec. 16, at 2 p.m. in the Sanctuary of Mountain Brook Baptist Church. The family will receive friends in Hudson Hall immediately following the service.